Please read these guidelines before submitting your article. 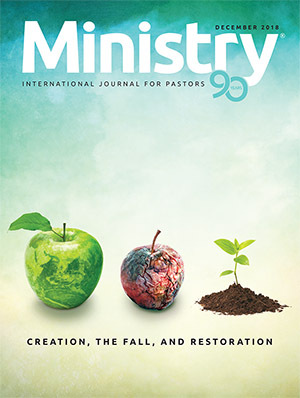 Ministry, International Journal for Pastors, has been published by the Seventh-day Adventist Church world headquarters (General Conference) since 1928. 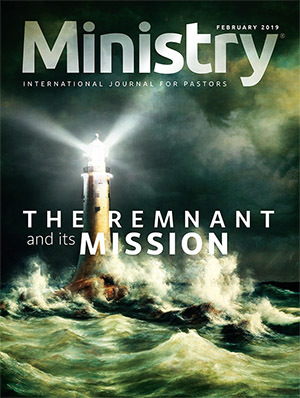 For many years the majority of the magazine’s readers comprised Seventh-day Adventist ministers. Since the 1970s this journal has been offered to clergy of all denominations. 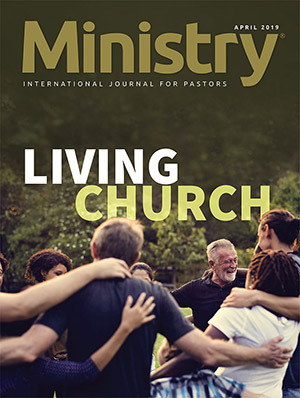 Today’s readers represent many religious faiths as well as various ministries—pastors, professors, administrators, chaplains, pastoral students, and lay leaders. 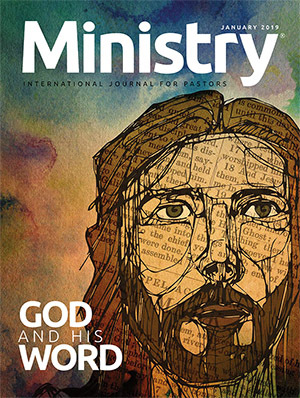 As a subscription journal, Ministry’s monthly circulation totals more than 18,000. Additionally, Ministry is distributed, on a complimentary basis (each odd-numbered month of the year), to nearly 60,000 clergy of other denominations. won elcitra na timbuS or send it to MinistryMagazine @ gc.adventist.org. Because Ministry’s readership includes individuals from all over the world, you will want to use words, illustrations, and concepts that will be understood by readers in various parts of the world. Avoid illustrations that are understood in one country but may be confusing in others. With the journal translated into a number of languages (Chinese, French, Korean, Indonesian, Japanese, Portuguese, Russian, and two editions in Spanish), be sure that translators will understand your words and concepts. We welcome submissions regardless of religious affiliation. Writers may review Seventh-day Adventist beliefs (visit www.adventist.org/beliefs/fundamental) in order to better understand the concepts and needs of the majority of the readers. Additionally, writers should ask themselves: What do I expect the reader to do with my manuscript? For additional guidance as to the type of manuscripts we accept, look at previous issues. Book and resource reviews of resources designed to speak to the professional needs of our readers. If the book or resource is self-published, a written authorization from the author’s employing organization and/or any organization deemed necessary by our editorial team is required before the editorial team will consider having the book reviewed. Dateline features notable gatherings of ministers, programs conducted by ministers, or events of interest to ministers. Be certain your writing focuses on the topic. Write so that the manuscript can be easily read and understood as it moves toward the conclusion. Identify the Bible version(s) you use, and include this information in the text. Please use a version of the Bible that will be understood by English-as-a-second- language readers. Whenever you refer to sources (books, articles, etc. ), be certain that you include an endnote (not a footnote) with full reference. Use Arabic numbers (1, 2, 3), not Roman numerals (i, ii, iii). Include a cover sheet with the following information: name, title of manuscript, your current position, full address, telephone number(s), e-mail address, and other relevant information. The manuscript should have the title of the manuscript and be double-spaced, with page numbers on each page. Send it as an e-mail attachment. We prefer Microsoft Word format. If you use another format, please indicate what you used. If requested, send a copy of all references. If you submit your manuscript to Ministry along with other publications simultaneously, tell us at the time of submission. We may not continue with the review process. For all submissions, please complete our biographical information form and email it to us. Upon receipt of your manuscript, we will acknowledge that it has arrived at our offices. At that time the review and evaluation process will begin. We will notify you of our decision once the review process is completed. 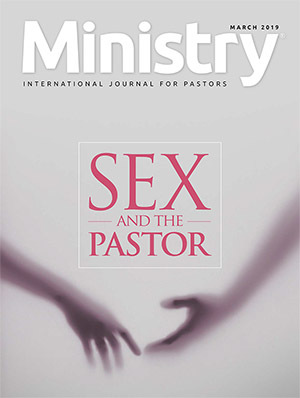 Ministry purchases all publication rights, including translation. Exceptions to this policy need to be negotiated before the signing of the publication agreement. Occasionally second serial rights are purchased for manuscripts published elsewhere. Once the writer receives notification that Ministry has decided to purchase the manuscript, the publication agreement will be sent. Please read it carefully, sign, and return. Writers need to realize that the manuscript may not be published immediately after acceptance and in some cases may not be published at all. If we, after payment, choose not to publish a manuscript, we will release all rights back to the writer. We pay for general manuscripts and book and resource reviews, with the payment determined on the amount of research done and other work needed to prepare the manuscript. If the editors need to spend considerable time editing the manuscript, payment may be reduced. We do not pay for Dateline items. As a writer, you will receive payment after you return the signed agreement, completed biographical information, and a quality photo to our office. Please note, United States citizens and residents must supply their Social Security number for payment. Please read the above Writer's Guidelines before submitting your article.